With a new, somewhat buried feature in iOS 8, unintentionally closing a tab in Safari is no longer the burden it used to be. 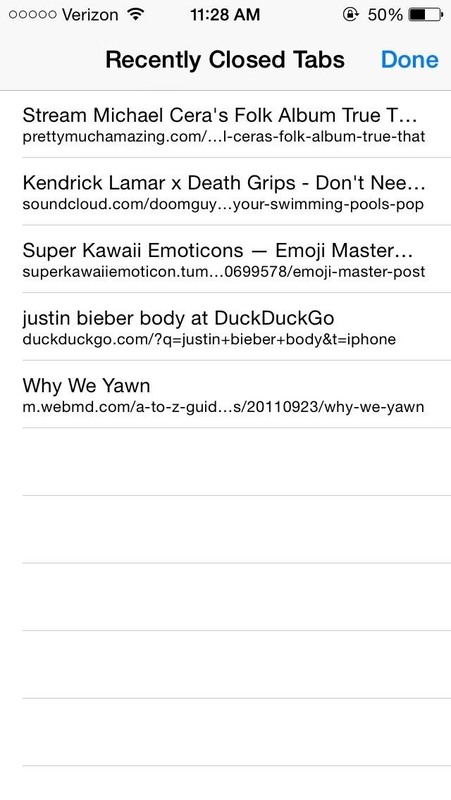 With iOS 7, you had to tap on the bookmarks icon from the main toolbar and go through your history to get that accidentally closed tab back. Now, Apple makes it easy to much easier to remedy the situation. 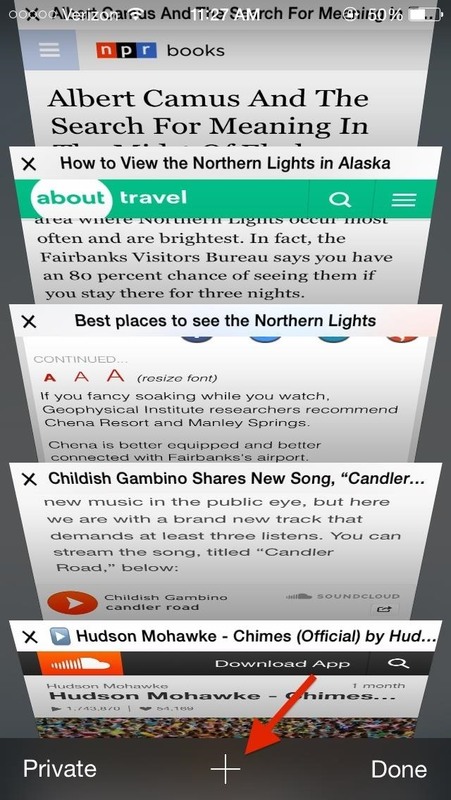 In Safari, tap on the tabs icon at the bottom right to bring up all of your open tabs on Safari. To access your recently closed tabs, hold down on the + (plus sign) to show the last five tabs you've closed. Previously this feature was only available on the iPad with iOS 7, but it's now made its way to all devices running iOS 8.